"I have 3.5 year old twins, Jonathan and Julia. 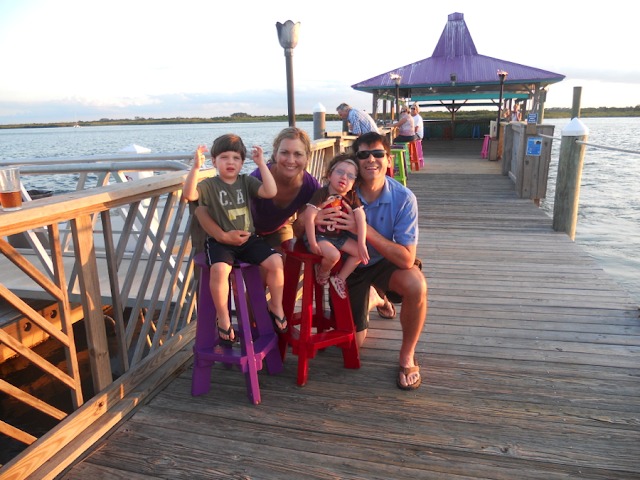 When Julia was born, she was diagnosed with an extremely rare genetic disorder called Axenfeld-Rieger syndrome. The doctors had never heard of this syndrome but gave us their best prognosis: Julia would probably never walk, talk, see , or hear. This was devastating news to first time parents, as we brought home our perfect son and our daughter that was breaking our hearts into a million pieces. The first year of their lives were a big blur. We shuttled Julia around to countless number of doctors, trying to get some answers. In addition, she had over 8 surgeries that first year, including a corneal transplant, a cataract removal, and a shunt implantation. And through it all, our son Jonathan had to be dragged along. We were told that Julia would be mentally retarded. However, during that first year, when Jonathan would hit his milestones, Julia would be right behind him by about 4 to 6 months. It started to give us some hope that maybe there is something there, that maybe the doctors didn't know what they were talking about.We had Julia in early intervention from 2 months old, our entire lives revolving around her therapy schedule. 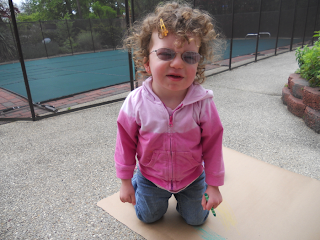 Fast forward to present, Julia is a 3.5 year old girl who is the happiest girl you will ever meet. She definitely has her challenges: she can only see out of one eye, has a hearing loss which necessitates a hearing aid, poor balance and gross motor skills ( can't run or jump), which prevents her from really being included in her peer play groups. But she walks and she talks and she is the hardest working kid you will ever meet.We started to potty train this summer, beginning with 15 minute intervals, in which she would pee on the potty. After several days of this, we moved to 20 minute intervals and she was having accidents, but not telling us that her underpants were wet. So we moved back to the 15 min intervals and every time the timer would go off, she would cry. We read the books, she watches her brother and myself use the potty, but we have not had any success in moving past the 15 min intervals. It is really frustrating because we are an active family and we hate to have our son constantly being put off for his sisters special needs. I am not sure where to take it from here...is she just not ready? Should we try again in a couple of months? Should we keep plugging along?I am hoping that our names can be submitted for the drawing. I look forward to hearing from you soon!"